WHILE information technology (IT) can improve productivity and enable small and medium-sized businesses, or SMBs, to compete with larger firms, it poses major risks and thus requires sophisticated management, such as disaster preparedness and security, says Symantec. "SMBs in Singapore recognise this and are finding it extremely important to drive a computing strategy that will help them reach their full potential," according to Tan Yuh Woei, country director for Singapore, Symantec. The company surveyed nearly 2,500 SMBs with 10 to 250 employees across the globe to determine their attitudes towards IT, with 100 responses coming from Singapore. "In all cases, we spoke with employees who are heavily involved in specifying and managing their company's computing equipment, software and IT practices," said Mr Tan. From the 17 survey questions, the responses from each question were calibrated to develop an "SMB IT Confidence Index" - a measure of how confident SMBs are in using IT to address strategic business goals. The SMBs were then split into top-tier, middle-tier and bottom-tier groups based on their IT indices. For Singapore, the sample size was too small to split into the three tiers so Symantec compared the full sample from Singapore to the global top and bottom tiers, to determine where on the spectrum between the two groups Singapore lies. The "typical" SMB we spoke within Singapore (based on the median values reported in our survey) would have been founded in 1999 by an entrepreneur who is now in the early-50s age bracket and has about 50 employees, said Mr Tan. Globally, the typical SMB was founded in 1996 by a person now in their early 50s and has about 60 employees. Mr Tan noted that one of the biggest drivers of high IT Confidence scores was the founder's attitude towards IT. Seventy-four per cent of top tiers globally said their founder's previous business experience has a somewhat to extreme influence on their IT philosophies, compared to 61 per cent of companies with low ranking index scores and 62 per cent of all SMBs in Singapore. "In slightly more than half of the top tiers, that experience included large corporate experience (versus just 44 per cent for bottom tiers and 54 per cent of Singapore SMBs). "In addition, 83 per cent of top-tier SMBs worldwide use IT as a strategic business enabler, compared to just 44 per cent of bottom-tier SMBs and 75 per cent of all SMBs in Singapore," said Mr Tan. The Symantec official noted that top-tier SMBs are more likely to invest in a high-quality IT infrastructure and deploy advanced computing platforms - more Singapore SMBs are likely to deploy advanced computing platforms than invest in high-quality IT infrastructure. "In order to gain competitive edge, top tiers were found to be more likely to see advanced IT initiatives as being worth the risk (by as much as 47 percentage points) compared to their bottom-tier counterparts. They were also more likely to invest in high-quality IT infrastructure from the start and deploy advanced computing technologies, such as cloud and mobility (51 per cent)." Mr Tan, however, noted that only 35 per cent of SMBs in Singapore are likely to make the investments, tracking more closely with the bottom-tier SMBs where only 36 per cent are willing to invest. At 78 per cent, top tiers were again found to be more likely to deploy advanced computing platforms compared to 34 per cent of bottom tier SMBs and 55 per cent of Singapore SMBs. Singapore SMBs report that using computing to drive their business has increased their market share, noted Mr Tan, adding: "While you might think that top-tier SMBs are spending more on IT than their bottom counterparts, they are in fact spending roughly 7 per cent less on IT than the bottom tier. This could be due to their commitment to investing in the right technology from the beginning while keeping future needs in mind." 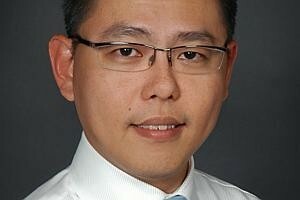 Mr Tan added that top-tier SMBs as well as Singapore SMBs have made information security a business priority. "It should be no surprise then that SMBs that rate in the top-tier are more confident in their security. Seventy-eight per cent of top-tier SMBs have made security a business priority, stating they are somewhat to extremely secure. "Singapore SMBs track more closely with the top tiers with 52 per cent stating that they were somewhat to extremely secure. Comparatively, only 39 per cent of bottom-tier SMBs shared this sentiment." He added that top-tier SMBs see fewer cyberattacks and lower monetary losses (51 per cent lower annual loss from cyberattacks versus 13 per cent in bottom tier and 32 per cent in Singapore), and in areas such as storage management, backup windows and disaster preparedness, the top tiers report much smaller impact from IT complexity. Mr Tan observed that there are significant advantages in a forward-thinking attitude towards computing, "when it is embraced for strategic purposes rather than being treated as simply a necessary evil". He added: "When evaluating IT solutions for business, SMBs should consider long-term cost and value, and determine what technologies will help differentiate them from the competition while supporting future growth." In terms of security, SMBs are now being specifically targeted by cybercriminals, Mr Tan said. "Top-tier SMBs globally understand the importance of keeping security up-to-date, and 81 per cent aggressively employ security measures. Similarly 81 per cent of top-tier SMBs globally employ backup measures and 79 per cent do the same for disaster preparedness." The survey showed that for IT, the global challenges were security, disaster preparedness and data protection (backup and storage management) in that order. "For Singapore SMBs, disaster preparedness has emerged as the top IT challenge, while budget issues and security were tied for the second position," Mr Tan added.